Veracity of this resource is in question based on follow-up research by the University of British Columbia and Princeton University showing no detectable arsenic in the DNA of the bacterium and no growth in the presence of arsenate. There is a call for retraction of the original research based on misrepresentation of critical data. Bacteria isolated from Mono Lake, California can grow in high levels of arsenic (A Bacterium That Can Grow by Using Arsenic Instead of Phosphorus). First author Felisa Wolfe-Simon calls her own findings "profound", but some observers are not enthusiastic. Biochemist Larry Moran wrote, "I predict that a year from now we'll have forgotten about this discovery." Microbiologist Rosemary Redfield commented on the newly published research report, "it doesn't present ANY convincing evidence that arsenic has been incorporated into DNA (or any other biological molecule)." Welcome to the Wikiversity learning project about replacement of phosphorus by arsenic in living organisms. 5 How do bacteria adapt to environments with high levels of arsenic? 6 How do bacteria adapt to low phosphorus? It has been reported that a type of bacterium can survive and grow while substituting arsenic for phosphorous in cellular macromolecules including DNA. These findings have later been shown to be incorrect. What are the implications of this finding for biology and exobiology? 1) A short audio resource about replacement of phosphorus by arsenic in living organisms. Listen to audio (help·info) of the text, below. 2) To do: record an audio chat discussion of the reported arsenic-using bacteria, how NASA publicized the results and how people responded (criticism, summary). Possible background information for the follow-up podcast. Why did Wolfe-Simon try to grow bacteria under conditions where arsenic would be used to replace phosphorus? 3) A short video (view the video at Youtube) about replacement of phosphorus by arsenic in living organisms. Click on the black play button below to watch the video. Alternatively, you might get better performance by downloading the OGG video file and watching with a viewer such as VLC. On November 29, 2010 NASA announced an "astrobiology finding that will impact the search for evidence of extraterrestrial life". This "astrobiology finding" was published on December 2: "A Bacterium That Can Grow by Using Arsenic Instead of Phosphorus". This NASA-funded research report describes a newly isolated bacterium that can grow while incorporating arsenic into its structure. In particular, the bacteria were shown to have substituted arsenic atoms for some of the phosphorus in their genetic instruction storage molecule, DNA. The authors of the newly published research report and NASA employees have made some dramatic claims about the possible significance of these newly reported experiments with Earthly bacteria. The first author of the article, Felisa Wolfe-Simon, said that her demonstration of arsenic-tolerant bacteria, "breaks the unity of biochemistry". Mary Vortek of NASA's astrobiology program suggested that there might be a "shadow biosphere" of microorganisms on Earth that have long used arsenic as a substitute for phosphorus. The bacterial cells described in this report (called GFAJ-1) were isolated from Mono Lake, California, a lake with relatively high levels of arsenic, about 2000 times higher than what is allowed in drinking water. Arsenic is harmful to humans because it is chemically similar to phosphorus. Phosphorus plays many important roles in the chemistry of living cells. When arsenic substitutes for phosphorus in human and other eukaryotic cells it poisons them (see). DNA structure. Arsenic-tolerant GFAJ-1 bacteria were reported to have replaced some of the phosphorus (P) in their DNA with arsenic. Some critics of the published work expressed skepticism, suggesting that the published results might have been confounded by DNA samples contaminated by arsenic that had never been incorporated into the structure of DNA molecules. It is not possible to substitute arsenic for phosphorus in humans, but it has been known for some time that there are types of bacteria, often called extremophiles, that can survive in many kinds of extreme environments. The newly described GFAJ-1 bacteria were isolated from an unusual environmental niche where they may have adapted by natural selection to the high arsenic content of the water. After being isolated from lake water, the bacteria were cultured in the laboratory under artificial conditions of high arsenic and low phosphorus. Unlike human cells exposed to arsenic, the GFAJ-1 bacterial cells survived exposure to high amounts of arsenic. However, the GFAJ-1 bacteria showed a preference for phosphorus over arsenic while constructing the molecular structure of the DNA backbone. Under culture conditions that provided 10,000 fold more arsenic than phosphate, SIMS analysis of the DNA indicated roughly 25 times more phosphorus than arsenic incorporated into the DNA molecules. These bacterial cells were very efficient at using the small amount of available phosphate in preference over the easily available arsenic. In an article published in 2009 (Did nature also choose arsenic?) Wolfe-Simon discussed the idea that an alternative type of life might exist on Earth as part of a "shadow biosphere" within which organisms use arsenic rather than phosphorus. Similarly, life on another planet might prefer arsenic rather than phosphorus. Phosphorus is one of just six elements that constitutes more than 0.1% of the atoms in the human body (see Figure 1, below). Phosphorus is a fairly common element in Earth's crust (see Figure 2, below), but soluble, bioavailable phosphate is often a limiting nutrient in many ecological niches. It is conceivable that there might be niches where there would be selective advantage for organisms that could use arsenic as a substitute for phosphorus. The search must continue for organisms that prefer arsenic over phosphorus. The GFAJ-1 bacteria described so far are part of the known tree of conventional life (Halomonadaceae) and simply seem to be an example of a type of bacterium that can tolerate arsenic and make use of arsenic when phosphorus is in short supply. How do these Earthly, arsenic-tolerant bacteria "impact the search for evidence of extraterrestrial life"? At the NASA news conference on December 2, Wolfe-Simon said, "what I’ve presented to you today is a microbe doing something different than life as we knew about it...if there’s an organism on earth doing something different we’ve cracked open the door to what’s possible for life elsewhere in the universe and that’s profound." Mary Voytek said that understanding the range of environments used by life on Earth can, "inform us as to how we might search for life and evidence of life in other places in our solar system." Figure 1. Atomic constituents of the human body. This figure shows the top part of a table of the elements that illustrates the major elemental constituents of the human body. For the most common six elements, the area of the box for each element represents the fraction of atoms in the body for that element (the box for hydrogen is so large that it extends off the upper left side of the illustration). Water (H2O) is the most common molecule in the human body; water constitutes over half the weight of the body. After hydrogen and oxygen, carbon is the most prevalent type of element used in the human body and life on Earth is sometimes called "carbon-based life". Only hydrogen (63%), carbon (12%), nitrogen (0.6%), oxygen (24%), phosphorus (0.1%) and calcium (Ca, 0.2%) make up more than 0.1% of the atoms in the human body. See Chemical makeup of the human body. Figure 2. Common elements of the Earth. The major atomic constituents of living organisms (hydrogen (H), carbon (C), nitrogen (N), oxygen (O), phosphorus (P) and calcium (Ca)) are relatively common elements in Earth's crust. Phosphorus is about 1000 times more common than is Arsenic. See Abundance of elements in Earth's crust. How do bacteria adapt to environments with high levels of arsenic? Study of the toxic effects of arsenic on humans has a long history (for example, see On Arsenic As a Poison; Its Tests and Antidote from 1844). Arsenic was used as a treatment for the bacterial disease syphilis, but resistance to arsenic was reported, leading to attempts to study the resistance phenomenon under laboratory conditions (see Attempt to produce an arsenic-resistant strain of Spirochaeta pallida in experimental syphilis). Early studies of bacteria that are resistant to the toxic effects of arsenic involved bacteria that are not normally exposed to high levels of arsenic (for example, see Induction and mechanisms of arsenite resistance in Pseudomonas pseudomallei). Genes were found that can allow bacteria to efficiently transport arsenic out of their cells (Structure of the ArsA ATPase: the catalytic subunit of a heavy metal resistance pump), protecting them from toxic effects of arsenic (The ars operon of Escherichia coli confers arsenical and antimonial resistance). Some bacteria were also found that could obtain energy by metabolizing arsenic (for example, see Chrysiogenes arsenatis gen. nov., sp. nov., a new arsenate-respiring bacterium isolated from gold mine wastewater). It was found that the ability to metabolize arsenic using arsenate reductase is widespread in bacteria (Phylogenetic analysis of bacterial and archaeal arsC gene sequences suggests an ancient, common origin for arsenate reductase). Similarly, some bacteria express the enzyme arsenite oxidase (Arsenite oxidase, an ancient bioenergetic enzyme.). Lakes such as Mono Lake, California, have been studied as locations where populations of bacteria make use of the available arsenic (see The microbial arsenic cycle in Mono Lake, California.). It has been suggested that, "arsenic oxidation and scavenging may have played a crucial role in the development of early stages of life on Earth" (A Tale of Two Oxidation States: Bacterial Colonization of Arsenic-Rich Environments). Others have suggested that the more recently discovered arsenic-using anoxygenic photosynthesis might be more primitive than life using arsenite oxidase (see Arsenic in the Evolution of Earth and Extraterrestrial Ecosystems). Astrobiologists have long been interested in the possibility that life can exist on other planets under conditions that might be slightly different from those that are favorable to most life on Earth. Earth life that can survive in unusual or extreme environments is of interest to astrobiologists who want to discover all of the conditions under which life is possible. The suggestion began to be made (for example, in The ecology of arsenic) that arsenic-metabolizing organisms might also be found on other planets. Oremland and Stolz suggested, "Mars or Europa could conceivably have evolved primitive microbial ecosystems based in part upon use of arsenic as an energy source". In 2009, Oremland, Saltikov, Wolfe-Simon and Stolz discussed the possibility that ancient Mars might have developed life that used an arsenic metabolism cycle and such life forms might still remain in underground locations on Mars (see Arsenic in the Evolution of Earth and Extraterrestrial Ecosystems). Also in 2009 (Did nature also choose arsenic? ), Wolfe-Simon was first author on a paper that theoretically explored the idea that "ancient biochemical systems, analogous to but distinct from those known today, could have utilized arsenate in the equivalent biological role as phosphate". In particular, they speculated that at early times, some organisms might have arisen that use arsenate in place of phosphorus and once committed to a biochemistry using arsenic they could have "evolved strategies that would enable it to persist". They speculated that some forms of life might incorporate asrenic into important molecules like DNA where other organisms instead use phosphorus. Toxicity of arsenic. In some parts of the world toxic levels of arsenic enter into the human food supply by going from ground water into plants. There has been recent progress in understanding how some plants respond to high levels of arsenic in their water. Some plants chelate the arsenic and store it (see Arsenic tolerance in Arabidopsis is mediated by two ABCC-type phytochelatin transporters). Some bacteria resist the toxic effects of arsenic by actively transporting arsenic out of cells, while others accumulate significant amounts of intracellular arsenic (see Arsenic resistance and removal by marine and non-marine bacteria). Some bacteria are extremely resistant to the toxic effects of arsenic and the basis of that resistance is still under study (see Characterization of the ars Gene Cluster from Extremely Arsenic-Resistant Microbacterium sp. Strain A33). For several decades there have been studies of how arsenic can disrupt DNA synthesis and repair (some early studies: Effects of arsenite on DNA repair in Escherichia coli, Effects of arsenic, selenium, and chromium on the fidelity of DNA synthesis). Some bacteria are particularly efficient at repairing DNA damage (for example, see Enzymes involved in DNA ligation and end-healing in the radioresistant bacterium Deinococcus radiodurans). Bacteria that survive and grow in environments that are high in arsenic might have DNA repair systems that help stabilize DNA that has incorporated aresnic as a substitute for phosphorus. DNA strand breaks. If arsenate can substitute for phosphate in the DNA backbone and make the backbone unstable then it should be possible to show that arsenic causes DNA strand breaks. Arsenic-induced DNA strand breaks have been reported (Arsenic-induced DNA-strand breaks associated with DNA-protein crosslinks in human fetal lung fibroblasts, BRCA2-dependent homologous recombination is required for repair of Arsenite-induced replication lesions in mammalian cells). 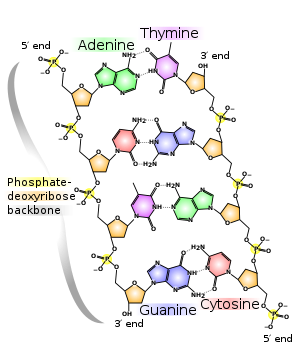 Poly ADP ribose polymerase is involved in DNA strand repair and has been reported to be inhibited by arsenic (Inhibition of Poly(ADP-ribose) Polymerase-1 by Arsenite Interferes with Repair of Oxidative DNA Damage). Gene expression profiling analysis reveals arsenic-induced cell cycle arrest and apoptosis in p53-proficient and p53-deficient cells through differential gene pathways - citations to "arsenic significantly affects specific signal transduction molecules"
How do bacteria adapt to low phosphorus? Role of Polyphosphates in Microbial Adaptation to Extreme Environments - "it is plausible that the Pho regulon system is induced to capture Pi and that the arsenate (structural analog of Pi) present in the medium is incorporated instead"
The genome of Bacillus coahuilensis reveals adaptations essential for survival in the relic of an ancient marine environment - "P limitation seems to be an important driving force for the adaptations observed in the B. coahuilensis genome"
Note: as of December 8, you should be able to access the article if you go through the "free registration" process at the Science website (see Arsenic Bacteria Breed Backlash). James Elser discussed the importance of phosphorus in the environment. Steven Benner discussed the instability of organic molecules containing arsenic atoms and expressed skepticism about the ability of arsenic-containing DNA to be a stable genetic storage molecule. Pamela Conrad discussed the implications of which elements can be used to form biological molecules in NASA's search for life on other planets. Arsenic in the Evolution of Earth and Extraterrestrial Ecosystems 2009 "A case can be made to focus on arsenic as a font for Martian life." Signatures of a Shadow Biosphere 2009 "strategies for seeking evidence of a shadow biosphere"
December 10, 2010 Defining life by Steve Benner in Astrobiology Volume 10 pages 1021-1030. The ecology of arsenic 2003 "Mars or Europa could conceivably have evolved primitive microbial ecosystems based in part upon use of arsenic as an energy source"
At the December 2 NASA news conference, Ivan Semeniuk asked about the ratio of phosphate to arsenic in DNA molecules isolated from the GFAJ-1 cells. Wolfe-Simon indicated that she is only willing to reply, "some", based on the data in the Science article. She seemed to suggest that she has newer data that will be submitted for publication next year, data that might give a better indication of how much arsenic is in the DNA inside actively growing GFAJ-1 cells. In the news story (What Poison? Bacterium Uses Arsenic to Build DNA and Other Molecules) published in parallel with the research report, Steven Benner was described as a skeptic. The Science news article by Elizabeth Pennisi reported Dr. Benner indicating that he was not convinced by the published results that Wolfe-Simon interprets as showing that the GFAJ-1 cells can substitute arsenic for phosphorus. Might the report of arsenic in GFAJ-1 DNA be an error due to contamination of GFAJ-1 DNA samples by arsenic that was never actually incorporated into the structure of the DNA? When asked at the NASA news conference to describe an experiment that he would like to see performed, he replied that it would be nice to see data indicating that radioactive arsenic is concentrated specifically in GFAJ-1 DNA bands of agarose gels. December 8 Statement from Wolfe-Simon about the "hullabaloo" over the December 2nd research report. December 12 The Agency That Cried “Awesome!” by Athena Andreadis. "the publication of that paper in Science was a very public slap in the face of scientists who take time and effort to test their theories"
December 18. Ed Yong update with quotes from Dr. Oremland and a link to Dr. Redfield's comments on the December 16 "Response to Questions". December 22. Nature included "arsenic using bacteria" in their list of top 2010 science news stories, but they suggest that the bacteria, rather than using arsenic, might simply have a way of "just cleverly thwarting its toxic effects". December 22. "Something's amiss with aliens and arsenic" by Karen Kaplan and Eryn Brown, Los Angeles Times. December 26. Arsenic microbe answers a long way off by Dan Vergano, USA TODAY. January 29. Kinetic Consequences of Replacing the Internucleotide Phosphorus Atoms in DNA with Arsenic - The abstract mentions "chemical precedents" indicating instability of DNA containing arsenic. Do they present any actual data on DNA? It will cost you $35.00 to find out. Impact of Arsenic/Phosphorus Substitution on the Intrinsic Conformational Properties of the Phosphodiester Backbone of DNA Investigated Using ab Initio Quantum Mechanical Calculations. This page was last edited on 25 February 2018, at 14:00.